If you’re facing a financial crisis, constantly feeling the weight of creditors on your shoulders, and want to wipe the slate clean, you may have already begun exploring the process of bankruptcy. Although bankruptcy is a way to eliminate some debt, it isn’t a magic eraser. Before you file for bankruptcy, make sure you consult a bankruptcy attorney and know which debts may still remain after the process. An insightful article from NOLO gives a quick overview of what Chapter 7 bankruptcy can and can’t do for your debts. 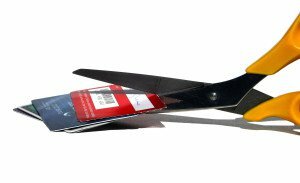 Get rid of credit card debt: Unless you have a special “secured” credit card, the creditor doesn’t have any right to any of your property and can’t repossess any of your items if you fail to pay the debt. Along with your credit card debt, you may have other unsecured debts that bankruptcy can also wipe out. Stop creditor harassment and collection activities: Bankruptcy can stop serious harassment—like the creditor repossessing your car or foreclosing your mortgage. Eliminate some liens: A creditor’s right to take some of your property will survive bankruptcy unless you invoke certain procedures during your case. Stop secured creditors from repossessing property: If you have a secured debt, bankruptcy can eliminate the debt, but can’t prevent the creditor from repossessing your property. Get rid of child support and alimony obligations: Bankruptcy does not clear your obligations of child support or alimony, and they will continue in full. Eliminate student loans: Although possible, it is highly unlikely your student debts will be wiped away. You must be able to show that repaying the loans would cause you “undue hardship,” a very tough standard to meet. Wipe away tax debts: It’s sometimes possible for older debts for unpaid taxes to be wiped away, but it’s not easy. Get rid of “nondischargeable” debts: These include debts for personal injury or death caused by you driving under the influence as well as fines for breaking the law, like traffic tickets and criminal restitution. If you need help deciding whether bankruptcy is the right move for your financial situation, contact an experienced bankruptcy attorney.